I mentioned in my New Gizmonia post that I decided to abandon that world and create a new one. The reason for that was the addition of Xbox achievements to the game. For some reason I was not unlocking any of them in that world, and in fact they seemed to be disabled. A brief flexing of my Google Fu revealed my problem. Any world that is switched from survival to creative mode is locked out of achievements, even after switching back to survival. I had made the switch to creative at one point so I could use the flying ability, handy when building a house in the air. But I wanted those achievements. They would be reflected on my Xbox profile and help my score there (I certainly haven't been spending any time on my Xbox to do that). 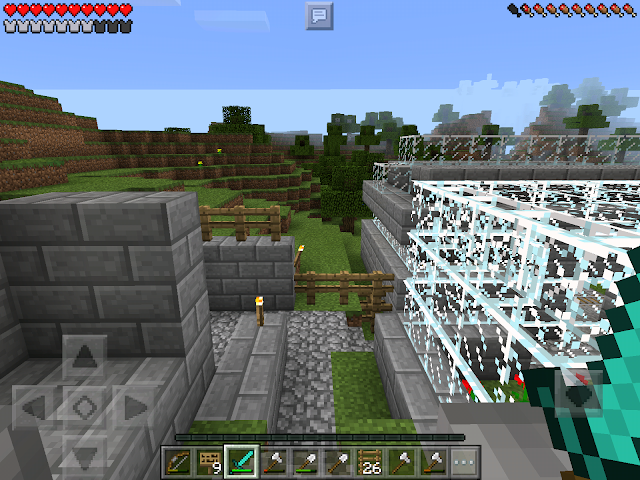 Also, spawning was rather messed up, as no hostile mobs would spawn on the island my house floated over. So a new world was in order. 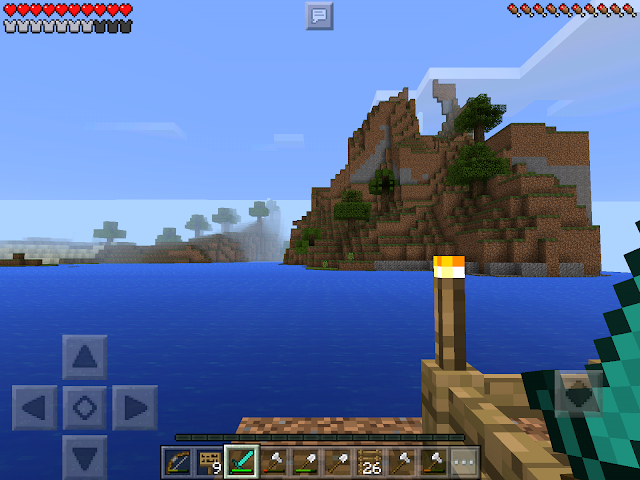 I spawned next to an ocean with a cave system nearby. A river splits the land creating a massive peninsula across the way. And not too far was a beautiful forest filled with mighty Spruce trees. 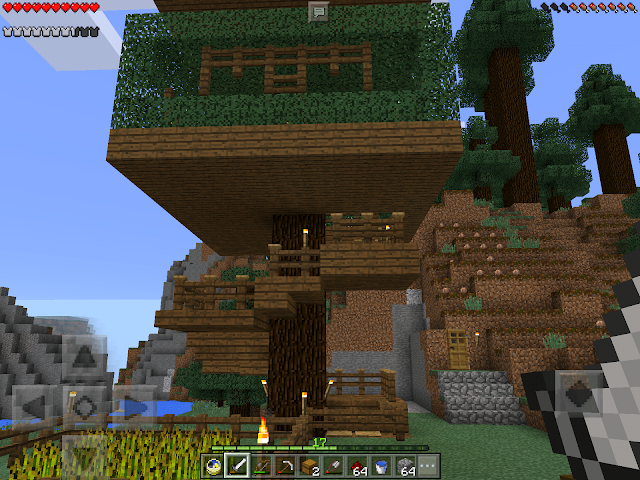 My path was clear, it was time to build a tree house! 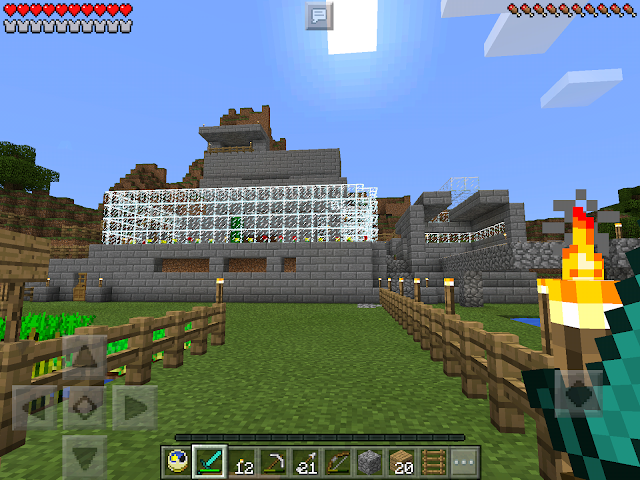 I ended up with a three story contemporary structure with a penthouse bedroom. 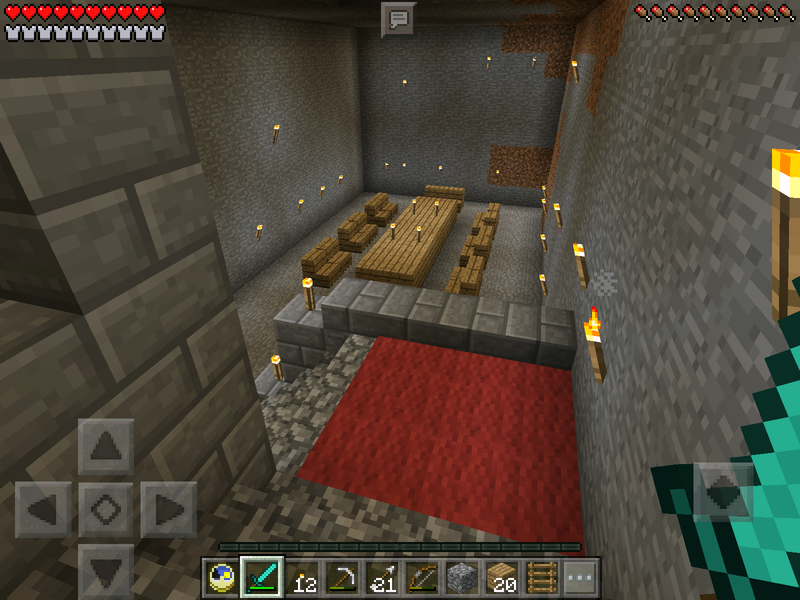 The second floor is my storage and smelting area, and the first floor provides stairway access and will serve as my terrarium. I got a new piece of tech in the mail today, a new external battery pack. I decided to do my first unboxing video to show off my new purchase. 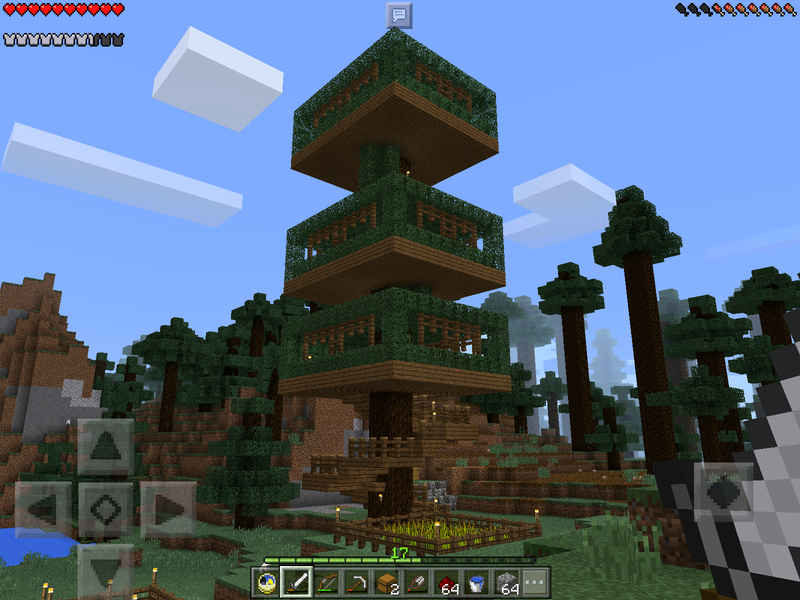 A couple of years ago I had been searching for a new game to play, and my thoughts kept returning to Minecraft. I played the web browser demo which was limited by playing time. I also played the free demo on Xbox 360 for a while. 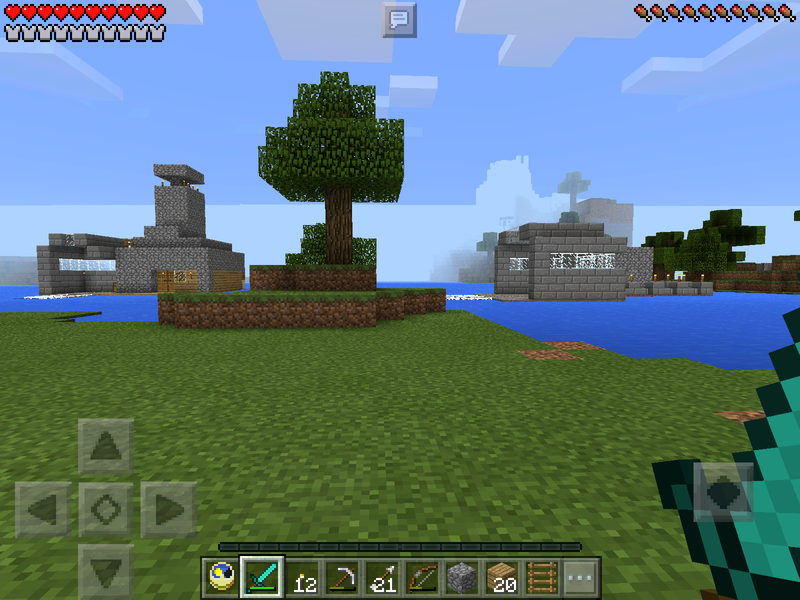 Then I downloaded the Minecraft Pocket Edition (MCPE) demo. I liked this version because I could play on my phone where ever I was. Since the wife was obsessively playing a puzzle game, this gave me something I could play without having to be tied to my PC or console. 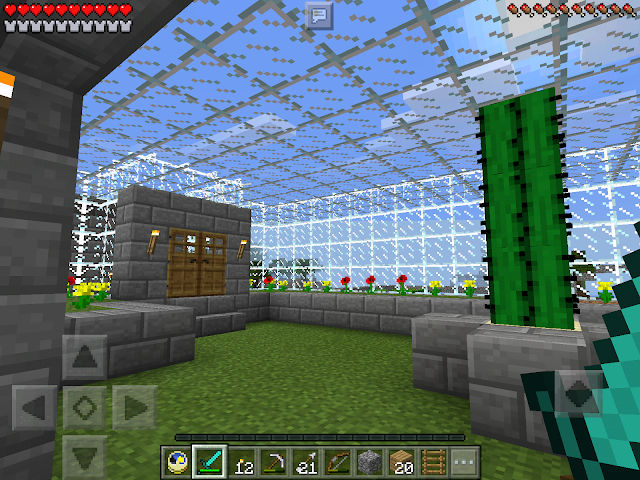 So I bought the full version of MCPE. 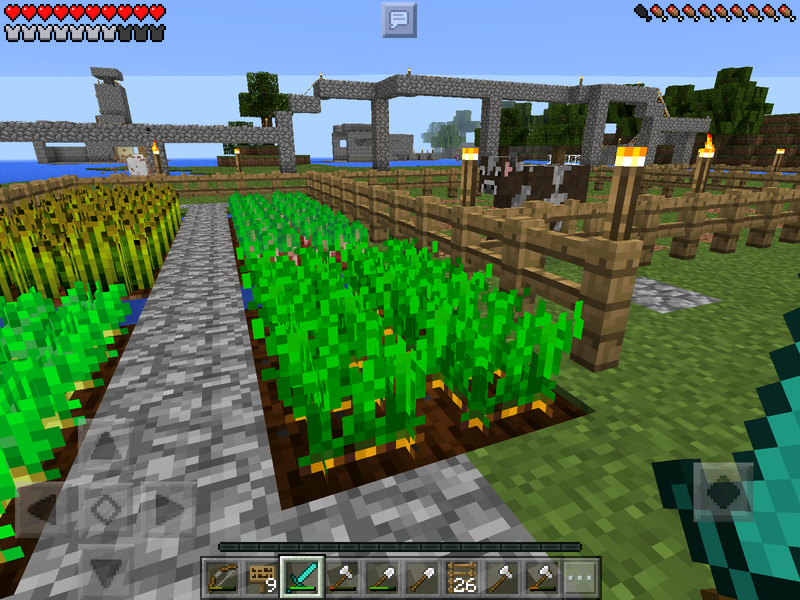 I soon found that it was a subset of the full PC game as far as the capabilities, mobs, and crafting. The world was limited in size, keeping my domain to a relatively small space. There was no redstone or blocks such as andesite, duorite, or granite. 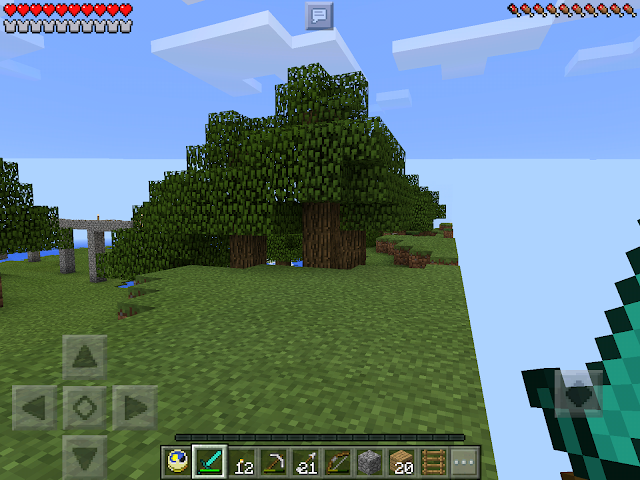 Mobs such as Endermen, squids, wolves, and ocelots also did not exist in this version. It was with this basic program that I created my first Minecraft world: Gizmonia. (I was totally ripping off the name "Trumania" from The Truman Show.) I began building a house on a small island that eventually became my lighthouse. Later I moved onto shore and build a complex complete that included a bedroom with a view, a grand dining room, and access to my first mine. I added a greenhouse and a rail system that went underwater (and was that a pain to do!) 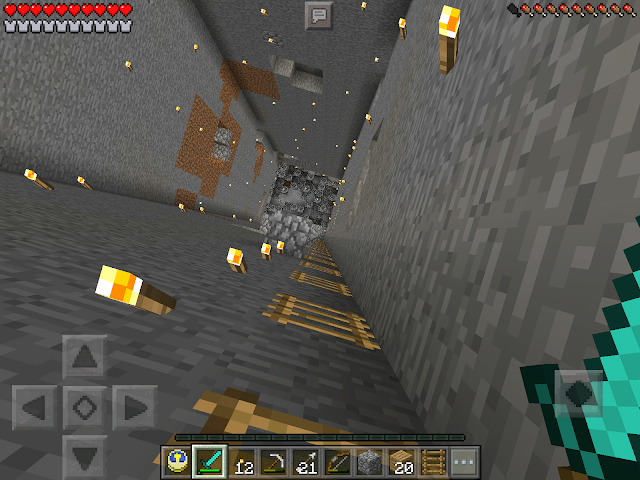 to give me easy access to the lighthouse and my main strip mine. They have added all the things I've mentioned above in the intervening years. Early on they added a basic powered rail for use with a mine cart, and I used it extensively. On some of the pictures you will see these rails are dark red, indicating they are unpowered. Initially these rails were self-powered, but now they need to be powered externally. Eventually they added the ability to have infinite worlds, but these older locations could not be expanded. It was at that time I abandoned this world to create New Gizmonia, as described in a separate blog post. I like to think I have learned a bit about building since Gizmonia was created, but I still enjoyed this trip down memory lane and I hope you will, too. 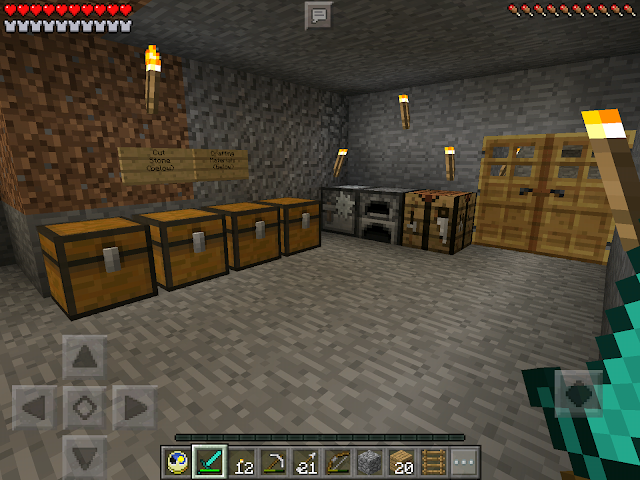 Crafting station. 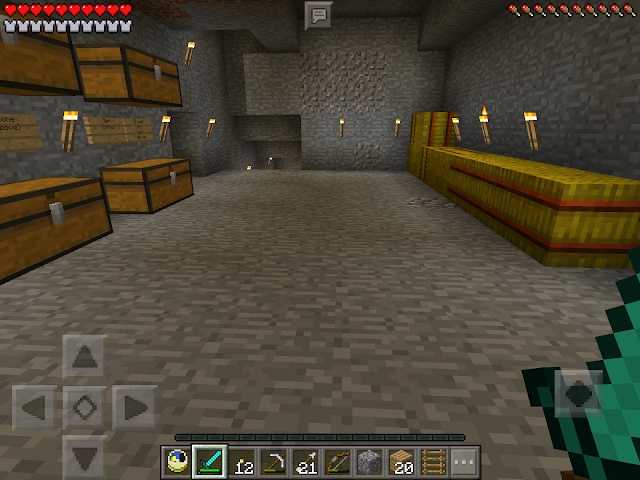 The block to the left of the furnace is a Stone Cutter, once an MCPE exclusive. 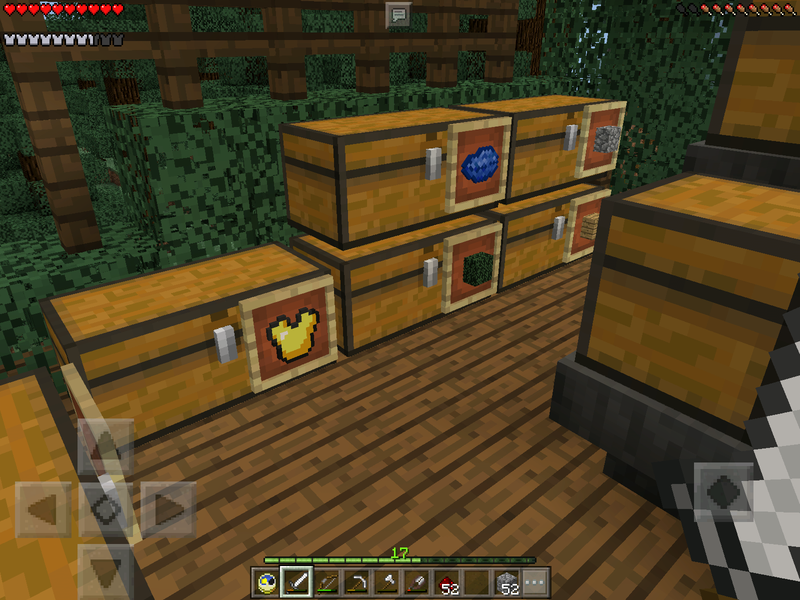 They later moved it's function into the crafting table to align with the other versions of the program so it is no longer an active block. 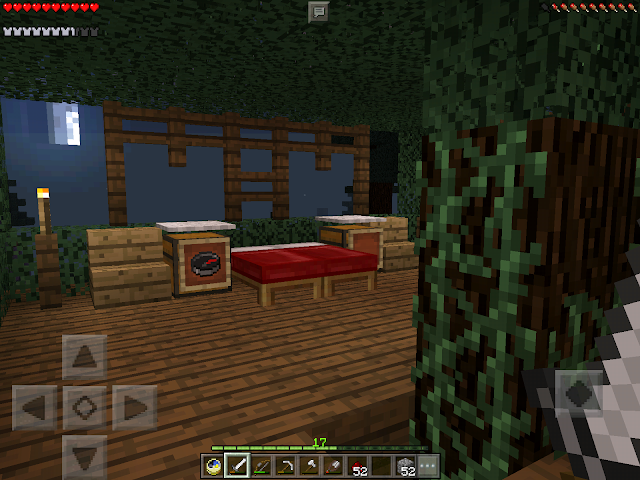 My home from outside. 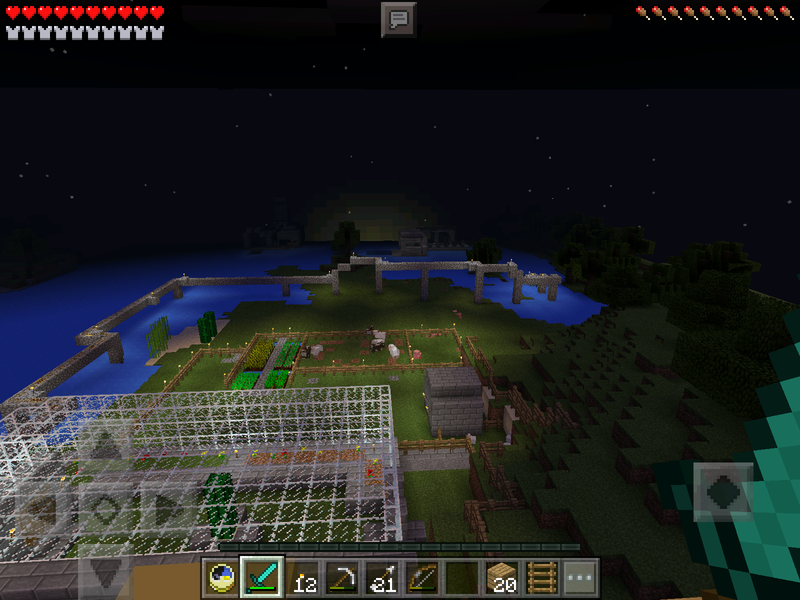 Below the greenhouse you can see my archery spots where I shoot hostile mobs during the night. To the right is the mine cart station. 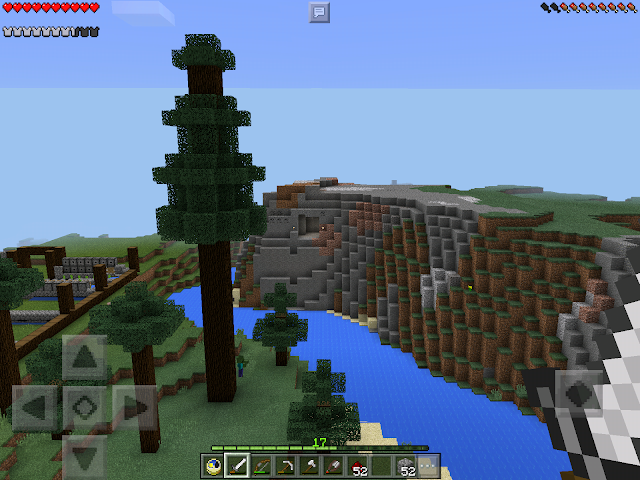 Lighthouse on the left, strip mine on the right. "For the world is hollow, and I have touched the sky!" 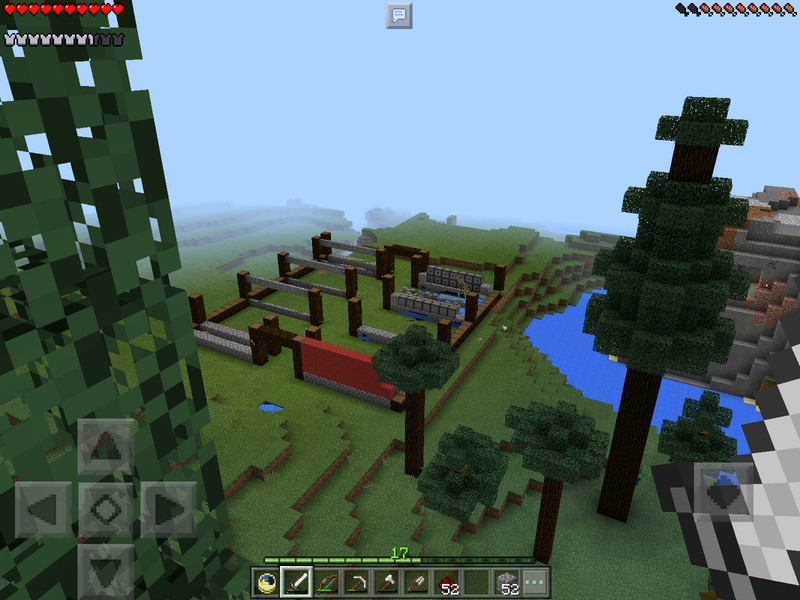 The edge of this old-timey MCPE world. 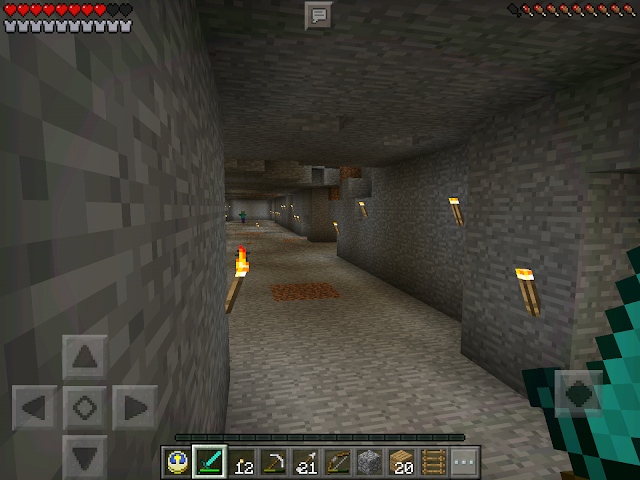 A bit of the underground mine cart track. 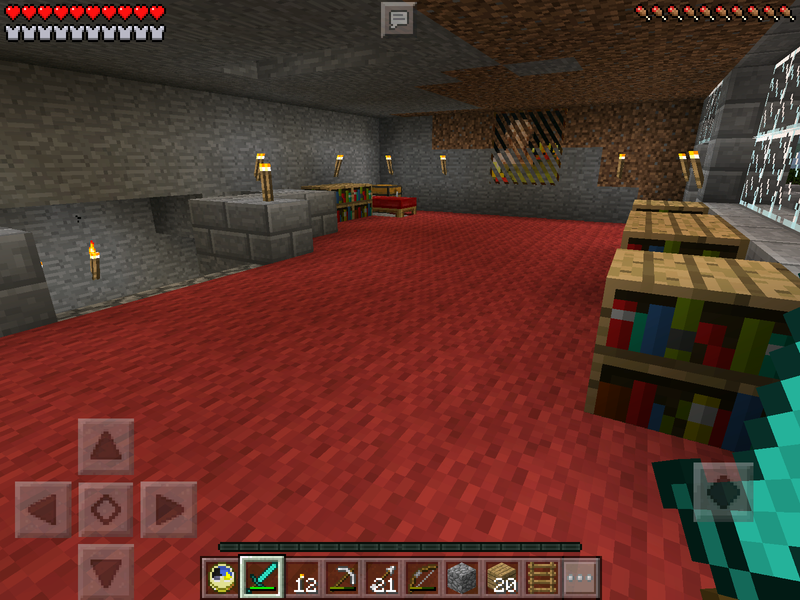 Notice the dull red of the unpowered rails. I would have to add redstone power all along this track to use it now. My strip mine, down to bedrock. Notice the ladders on every other block. 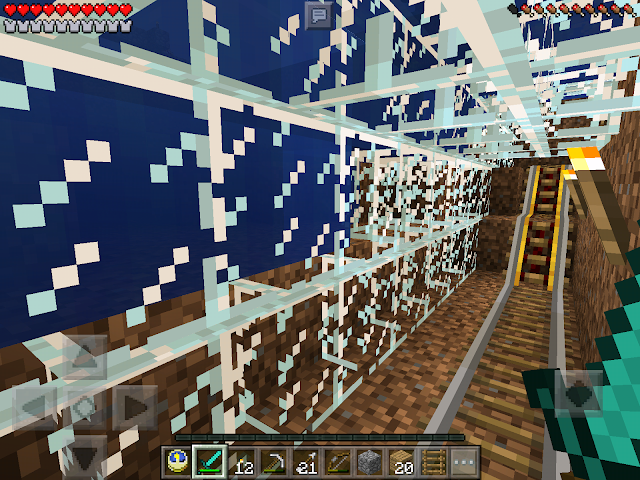 Older versions of the game would allow you to climb back up with only this amount of ladders. The current version will no longer do this, which made this visit back to the mine interesting. An area when my mining extended beyond the central pit. A lone zombie awaits my return. along the border of the world with a mine cart track. The view from the balcony outside my bedroom.